The Digital Built Environment Institute invites you and members of your organization to join us for the 2019 BILT event series. We will be hosting (3) three events in 2019. The BILT event in 2017 attracted a broad range of attendees, such as Architects, Structural Engineers, Mechanical, Electrical and Hydraulic Engineers, Civil Engineers, BIM and CAD Managers, Design Technology Managers, IT Managers, Design Managers, Construction Managers, Project Managers, Quantity Surveyors, Technologists, Thought Leaders and Academics. The event received fantastic feedback. 307 people attended the conference, representing 96 companies, including many of the largest firms in their regions. The conference attracts a broad range of attendees, such as Architects, Structural Engineers, Mechanical, Electrical and Hydraulic Engineers, Civil Engineers, BIM and CAD Managers, Design Technology Managers, IT Managers, Design Managers, Construction Managers, Project Managers, Quantity Surveyors, Technologists, Thought Leaders and Academics. The conference also attracts a significant proportion of senior representatives, such as Owners, Directors, Partners and Associate Directors. 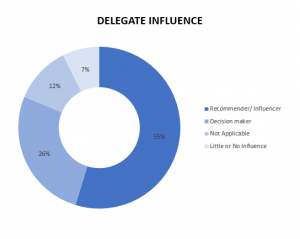 The important statistic to note here is that 81% of attendees are listed as either key influencers or decision makers. This is also confirmed by past sponsors and exhibitors, who have noted that the typical BILT delegate is their ideal target audience – technically knowledgeable, business savvy, and able to make decisions.BILT has enjoyed significant growth in attendance since its inception. We foresee a steady increase in attendance year on year. 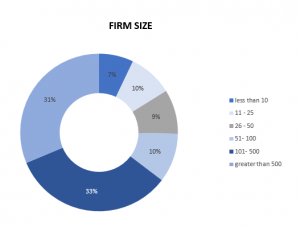 At the 2018 event 503 people attended, representing 211 companies, including many of the largest firms in their regions (upwards of 100,000 staff). In 2019, we predict that 500 attendees will come to the event in Melbourne. 16 countries were represented in 2018, with attendees coming from Australia, New Zealand, China, Singapore, Thailand, South Korea, Malaysia, Japan, United Kingdom, Germany, Austria, Netherlands, Canada and the USA. 40% of attendees indicated it was their first time at an RTC/BILT event in 2017, and 44% of attendees indicated it was their first time at an RTC/BILT event in 2018, indicating good levels of repeat attendance. The conference attracts a broad range of attendees, such as Architects, Structural Engineers, Mechanical, Electrical and Hydraulic Engineers, Civil Engineers, BIM and CAD Managers, Design Technology Managers, IT Managers, Design Managers, Construction Managers, Project Managers, Quantity Surveyors, Technologists, Thought Leaders and Academics. The conference also attracts a significant proportion of senior representatives, such as Owners, Directors, Partners and Associate Directors. 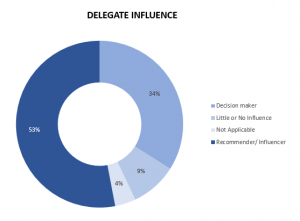 The important statistic to note here is that 89% of attendees are listed as either key influencers or decision makers, and this is borne through feedback received from sponsors and exhibitors from past events, who have noted that the typical BILT (RTC) delegate is their ideal target audience – technically knowledgeable, business savvy, and able to make decisions. Since our inception event, BILT NA has enjoyed significant growth in attendance. At the 2018 events, 613 people attended the conference, representing 310 companies, including many of the largest firms in their regions (upwards of 100,000 staff). 14 countries were represented in 2018, with attendees coming from Australia, Canada, Chile, Germany, Hong Kong, Italy, Ireland, New Zealand, Singapore, South Africa, Sweden, UAE, United Kingdom and USA. 46% of attendees indicated it was their first time at an RTC event in 2018, indicating good growth levels and effective marketing. The conference attracts a broad range of attendees, such as Architects, Structural Engineers, Mechanical, Electrical and Hydraulic Engineers, Civil Engineers, BIM and CAD Managers, Design Technology Managers, IT Managers, Design Managers, Construction Managers, Project Managers, Quantity Surveyors, Technologists, Thought Leaders and Academics. The conference also attracts a significant proportion of senior representatives, such as Owners, Directors, Partners and Associate Directors. 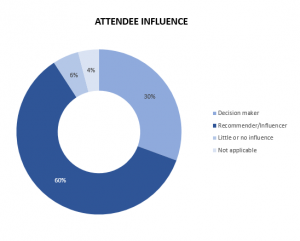 The important statistic to note here is that 85% of attendees are listed as either key influencers or decision makers, and this is borne out through feedback received from sponsors and exhibitors from past events, who have noted that the typical BILT delegate is their ideal target audience – technically knowledgeable, business savvy, and able to make decisions. 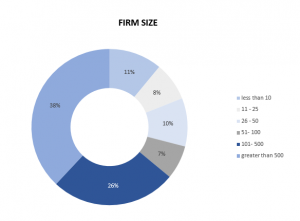 At the 2017 event 319 people attended BILT Europe, representing 165 companies, including many of the largest firms in their regions (upwards of 100,000 staff). 32 countries were represented in 2018, with attendees coming from Australia, Austria, Belgium, Canada, Chile, Croatia, Denmark, Egypt, Finland, France, Germany, Hungary, India, Ireland, Israel, Italy, Latvia, Liechtenstein, Netherlands, Norway, Poland, Portugal, Romania, Russia, Serbia, Singapore, Slovenia, Spain, Sweden, Switzerland, United Kingdom, USA. 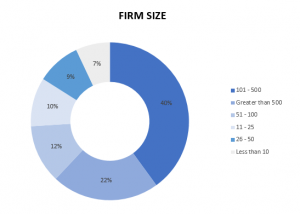 78% of attendees indicated it was their first time at an RTC/BILT event in 2018, indicating good growth levels and effective marketing.